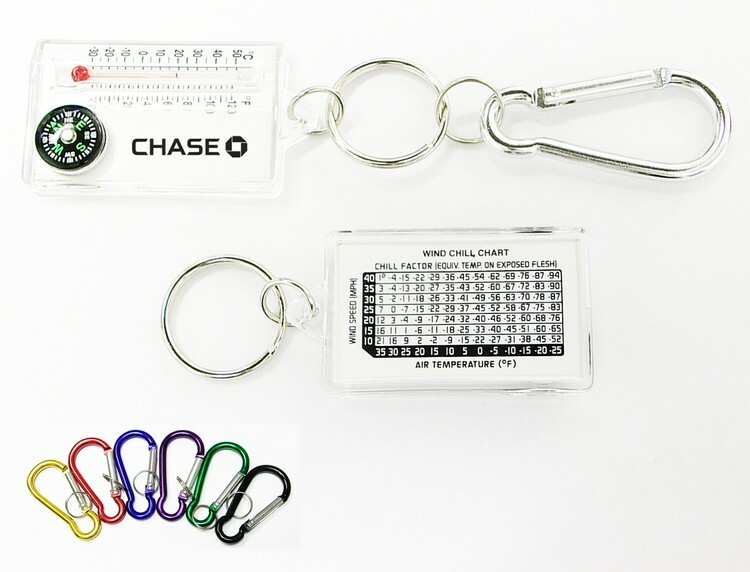 Compass thermometer with keychain and carabiner, wind chart on the back. Good for camping, travel and other outdoor activities. 2 3/8" x 1 11/32"